The Sandero costs less than some annual train tickets when new, so the affordability of secondhand examples is even more convincing. Thankfully Access trim is petrol only and so basic that a radio isn’t even included, and so we’d take a look at Ambiance trim boasting air conditioning and Bluetooth. 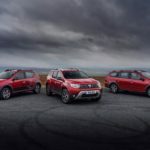 It might be built to a shoestring budget, but spend time with a Duster and it will get under your skin. A bit like a cut-size (and definitely cut-price) Defender, there’s something compelling about its basic appointments and boisterous 107bhp 1.5-litre dCi engine – there’s precious little sound deadening – that is capable of 60mpg. 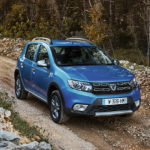 Dacia has launched the Dacia Buy Online sales platform in the UK. From the touch of a button Dacia customers can now purchase a car from virtually anywhere. 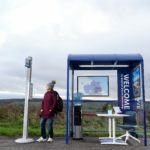 To mark the fact you can now buy a Dacia anywhere, Dacia created a ‘pop up dealership’ which was open for one day in the remote Yorkshire countryside inside a bus stop on the A64 between Pickering and Whitby. Having made its global debut at the Frankfurt Motor Show in September, the all-new Duster goes on sale in the UK from 11th June. 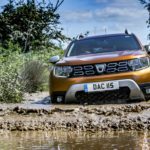 Dacia says the new Duster has been improved and refined in almost every area but is as versatile as ever. A totally revised interior features new technologies never before seen on the Dacia range. 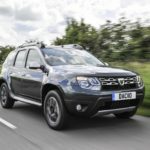 The all-new Duster is priced from £9,995 with UK deliveries beginning from July, although diesel models start at £13,595. 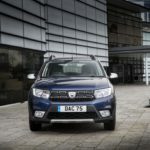 Dacia has revised its Duster line-up and launched two new trim levels. 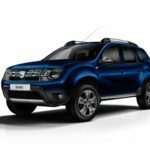 The Duster range is now available to order in Access, Air and Nav+ trims. The new Air trim features air conditioning, DAB radio, Bluetooth connectivity, height-adjustable driver’s seat, 16-inch wheels, body-coloured front and rear bumpers, electric front windows, USB and AUX connection and front fog lights as standard.